For years, I believed the lie that I wasn’t a creative person. Watching several people around me create handmade items, and sometimes being blatantly judged for not being handy, I felt that there wasn’t a creative bone in my body. But it turns out there’s more to art than working with your hands. Writing, whether fiction, nonfiction, poetry, or many other forms, are all creative acts. Whether you believe writing is a craft or an art, the fact remains that writing is creative work. You don’t have to produce material items to be creative. For us nonfiction writers, however, creativity sometimes doesn’t come as easily as for the novelists. We need to work a little harder to make our stories come alive for our readers, to transport them to the true stories we tell, or to get a particular emotion from something we relate. Personally, I’ve been trying to stay creative with my writing by telling the stories of our travels. 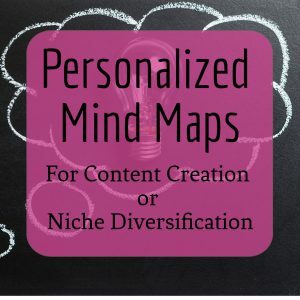 On my personal blog, I experiment with narrative nonfiction (or creative nonfiction) by trying to really paint a picture of the places where we’ve been. To me, it’s not about using fancy words or trying to appear sophisticated. It’s about being able to describe a place in such a way that if the reader closes their eyes after reading a sentence, they can feel themselves in the place they just read about. It’s about helping them to feel what I felt going up a mountain, or to share in my wonder when I look at a pink sunset over a vast ocean. It’s about creating a response in the person admiring my craft—my writing. As a nonfiction writer, sometimes I’m not inspired to be as creative and descriptive with my writing. Some days, I don’t feel inspired to write at all. 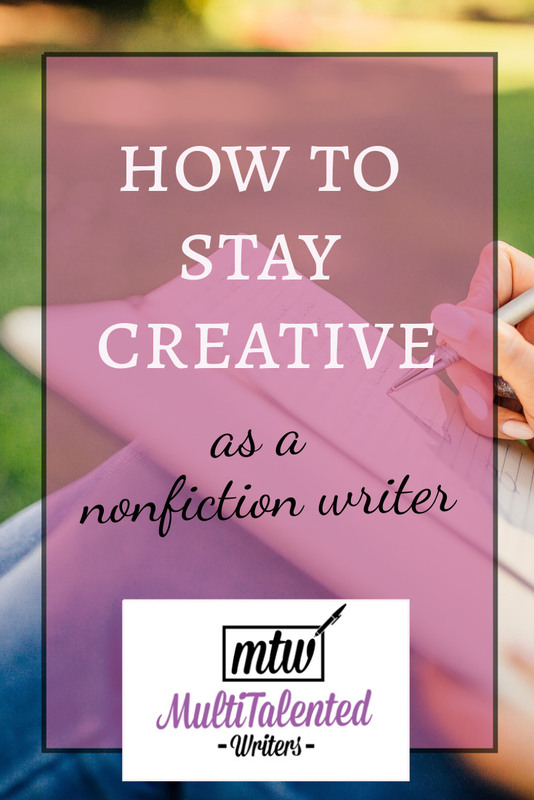 Here are some ways I combat these feelings and stay creative as a nonfiction writer. 1. I keep a journal. I have a day book where I journal for a minimum of 5 minutes every day. I use stickers, hand lettering, and doodles to keep the creative juices flowing. I also find it very relaxing, and I enjoy having something to look back at a few weeks after the fact. I’m not as descriptive in my Day Book as I am on my blog—my journal is for my personal use, but I do get inspired by some of my blabbering on the pages. Whether you do it for relaxation or inspiration, keeping a simple journal is a great idea—and may give you great ideas, too. Although I don’t (yet) write fiction, I would love to try my hand at it someday. While I often feel uninspired to invent stories, dreamland gives me some great plots for novels. So I started keeping track of my dreams by writing them down as soon as I wake up. I often forget to do it, but I’ll be keeping a notebook and pen right next to my bed, so it’s easier to remember to do it. And I’ll keep you posted on how it works for me! While some people may view it as a waste of time, I’ve jumped on the colouring for adults bandwagon. I have three kids and we’re currently traveling full-time. While it’s hard to write while we’re moving (you know, kid interruptions and all that), colouring is easy to do, it’s relaxing, and it helps me to get a few creative minutes in each day. 4. I aim for narrative nonfiction rather than a list of things we’ve done. When I write about our trip, I try my best to tell it in narrative nonfiction style. The places we go and the things we see make me feel a certain way, and as I write, I try to get the reader to experience those same feelings. The best compliment I ever received for my writing is that the reader “felt transported there” as he read my writing. That’s exactly what I’m trying to do with my travel stories, so that’s a compliment of the highest order, and I truly appreciated it. Speaking of compliments, they help me stay creative, too. 5. I spend more time with people who compliment rather than criticize me. 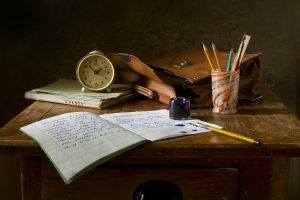 I’ve been criticized for everything from not knowing how to sew to “wasting time on the computer” because rather than being good at arts and crafts, I choose to spend time nurturing my creative writing skills. I decided a while ago that I don’t have time for those who only choose to see the things I cannot do (or don’t want to do). I’ve surrounded myself with those who appreciate my art, and I basically ignore those who don’t. Unless of course, the ones who criticize are giving proper, constructive feedback on something specific about my writing. And judgmental people who don’t consider my writing a craft never have a good analysis—if they have one at all. So I avoid them. 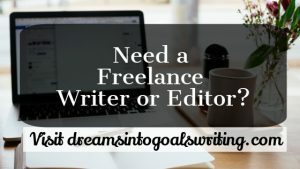 If you want to stay creative and nurture your writing skills as a nonfiction writer, make sure you set aside time to work on your craft, ignore the naysayers, and do something creative for a few minutes each day, whether it’s colouring, journalling, or just using voices when you read stories to your kids (or to your cats. Or to your walls. Just covering all the bases here). How do yous stay creative?